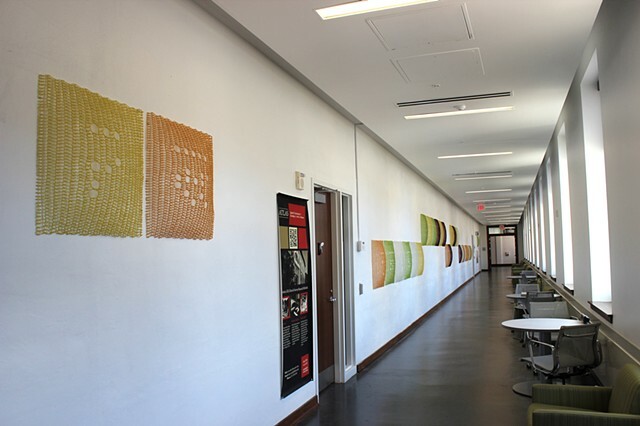 Commissioned by State of Illinois Capital Development Board for a 2nd floor corridor on the west side of Lincoln Hall on campus of University of Illinois at Urbana-Champaign. 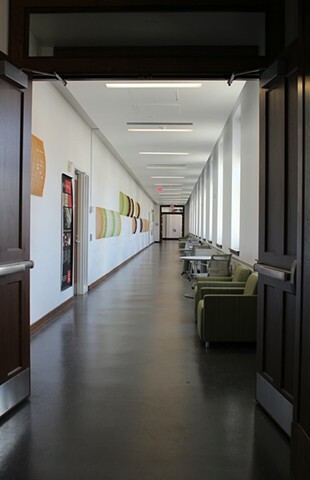 This corridor is a student study area and also currently houses ATLAS, department of Applied Technologies for Learning in the Arts & Sciences. 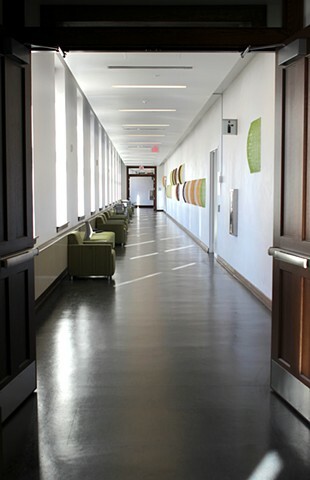 The corridor is 128 feet long and about 10 feet wide. 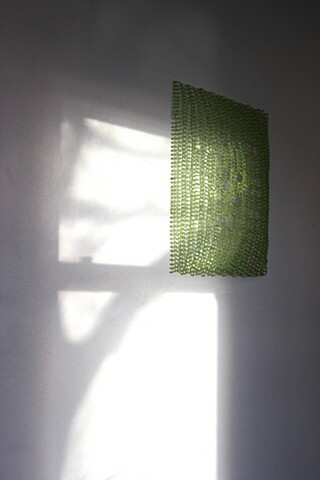 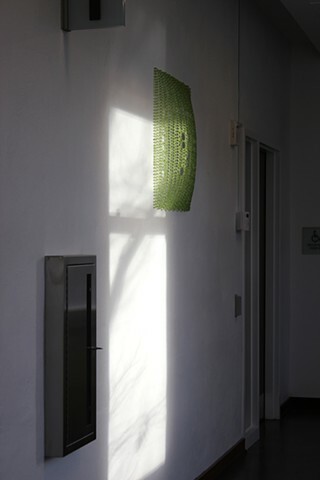 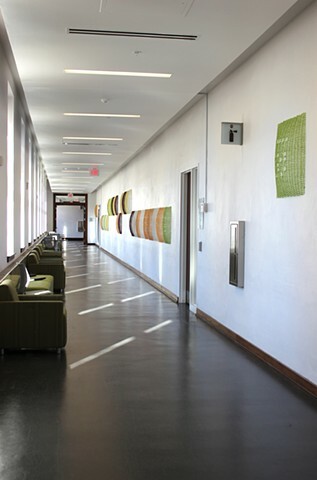 The space is experienced as an infinite stretch through its length, reinforced by a continuous line of long skinny dashes created by light fixtures on a dropped ceiling, reinforced by window / wall / window / wall repetition that spans the entire 128 feet, reinforced by light from 11 windows which creates a line of irregular rectilinear shapes on the art site wall. 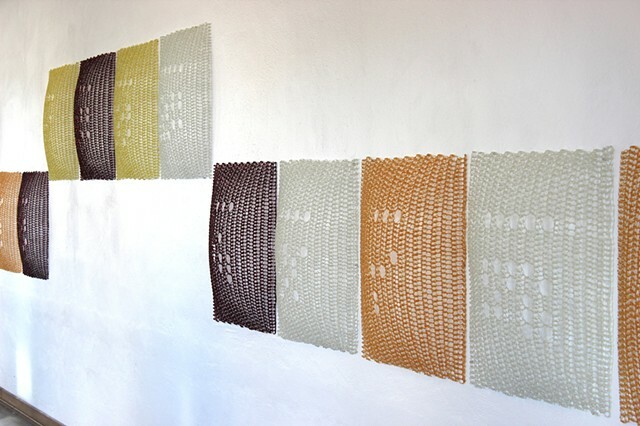 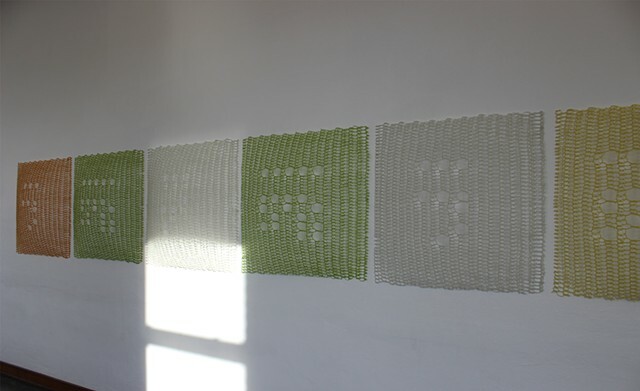 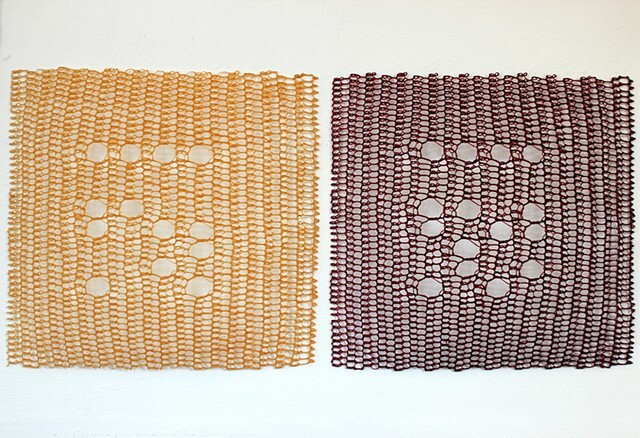 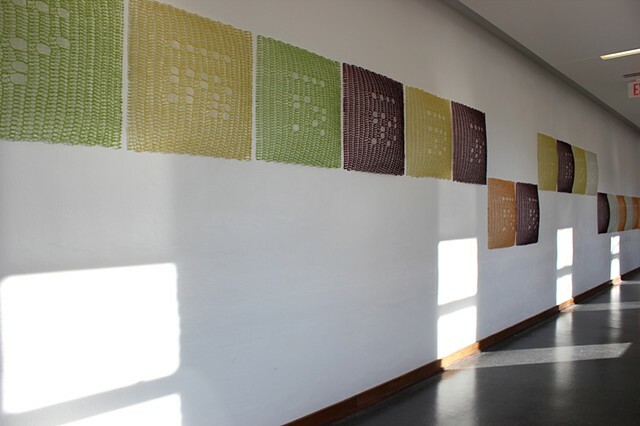 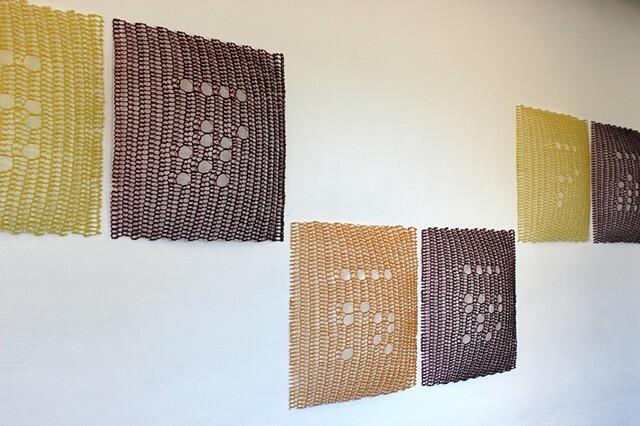 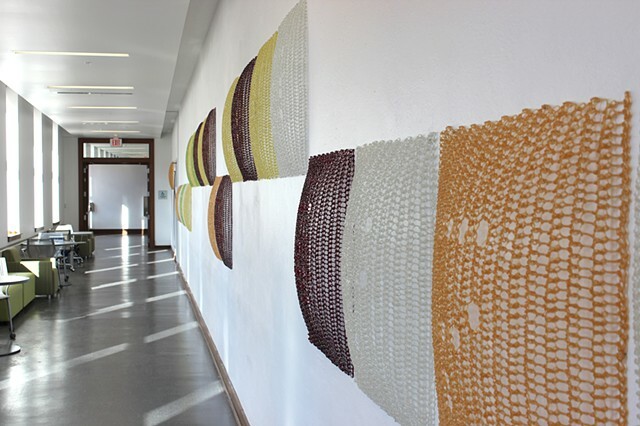 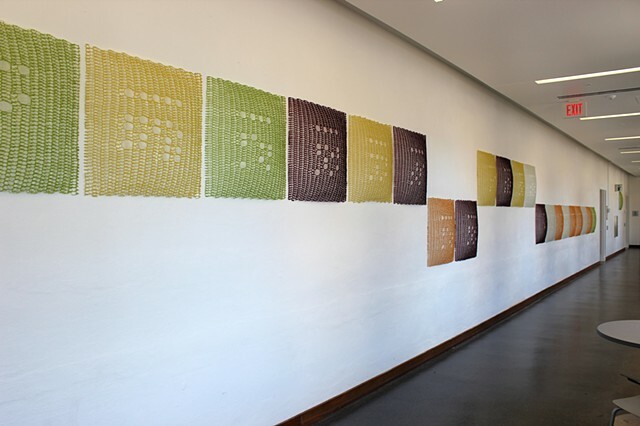 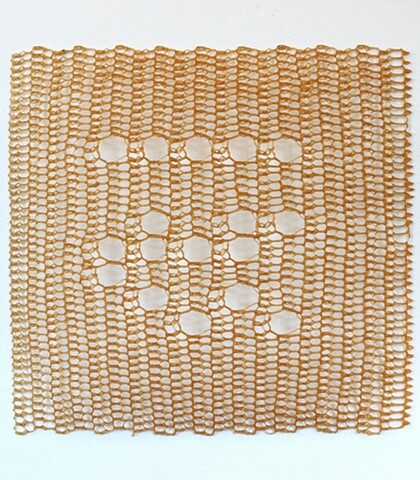 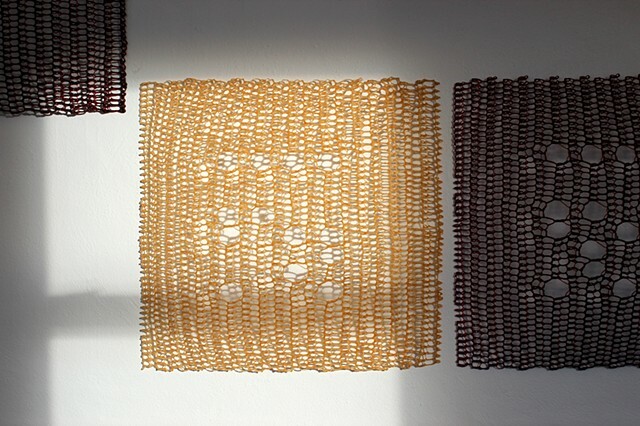 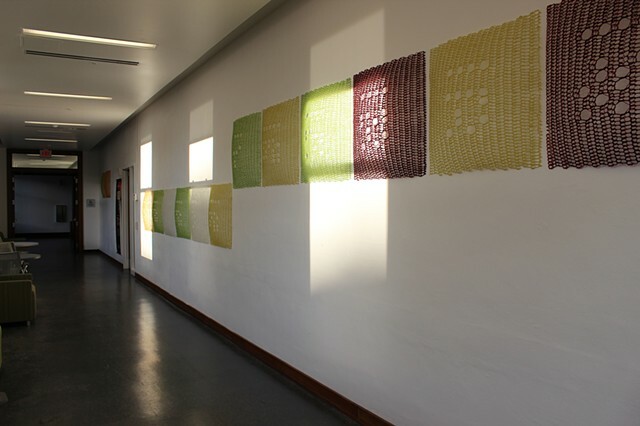 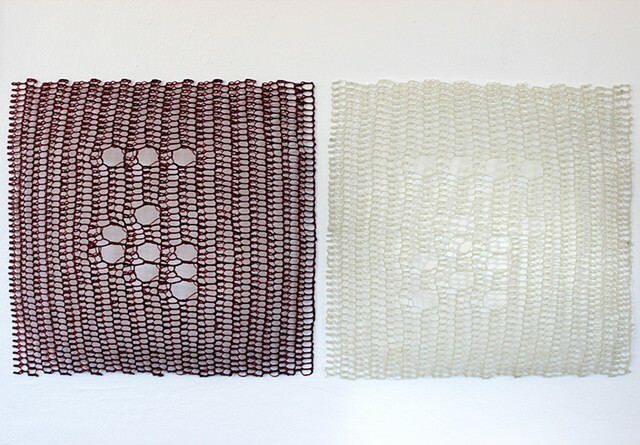 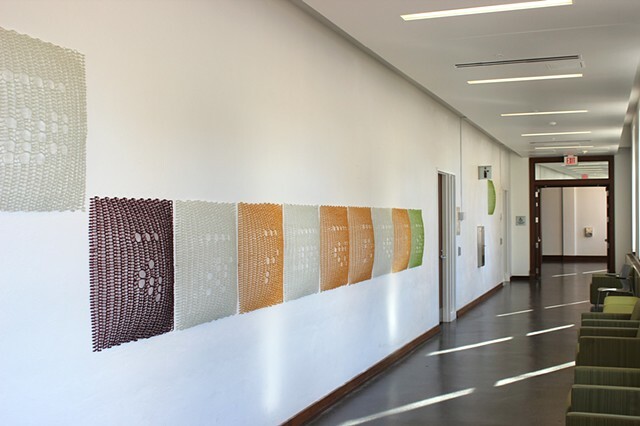 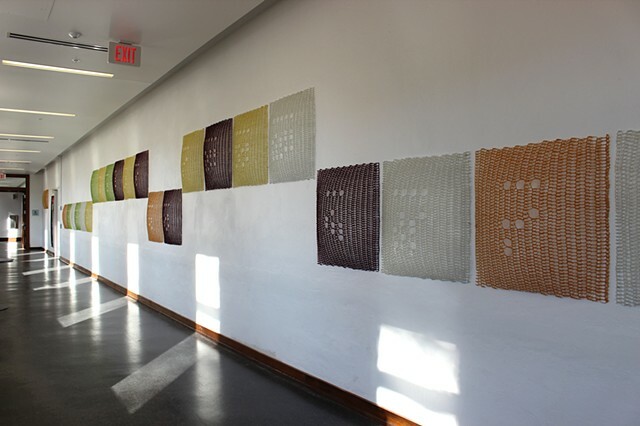 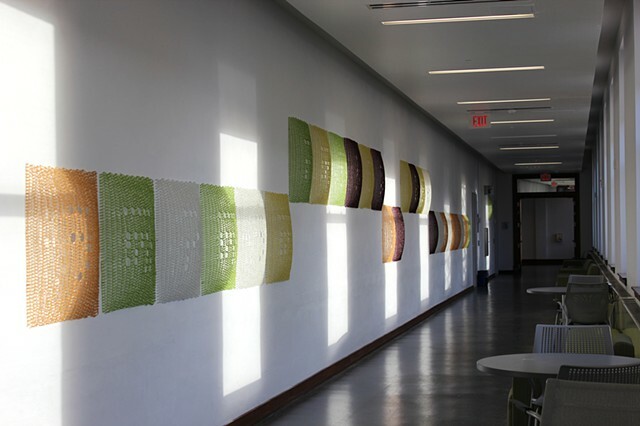 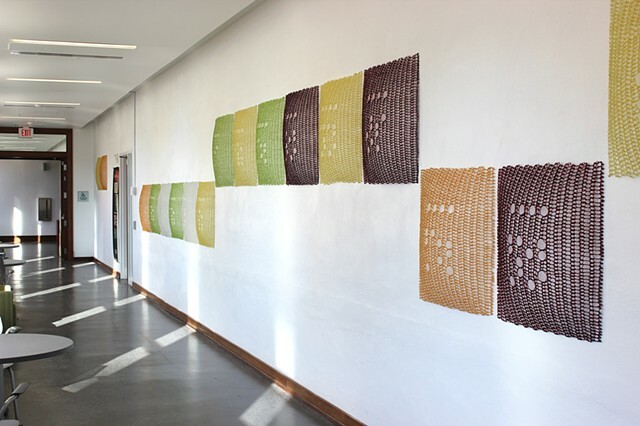 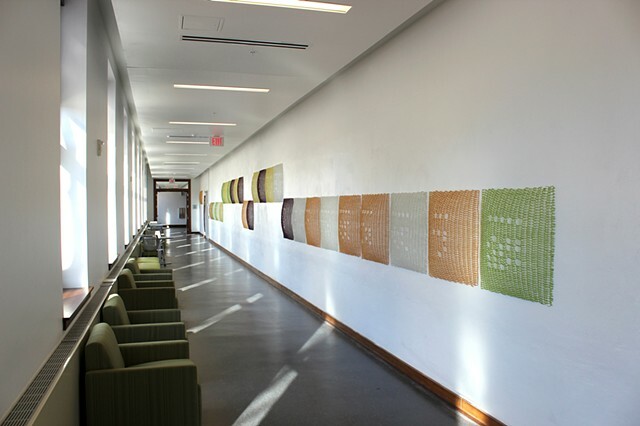 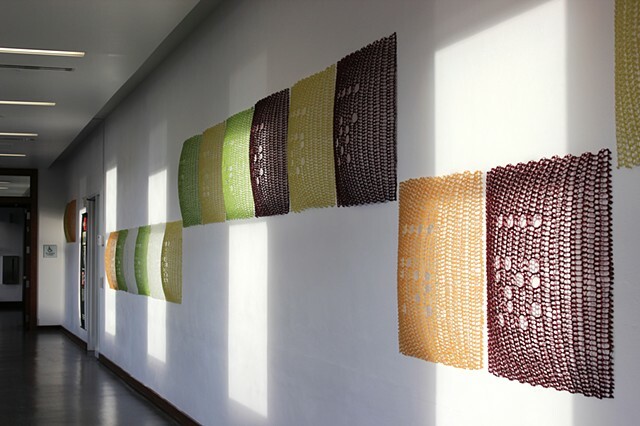 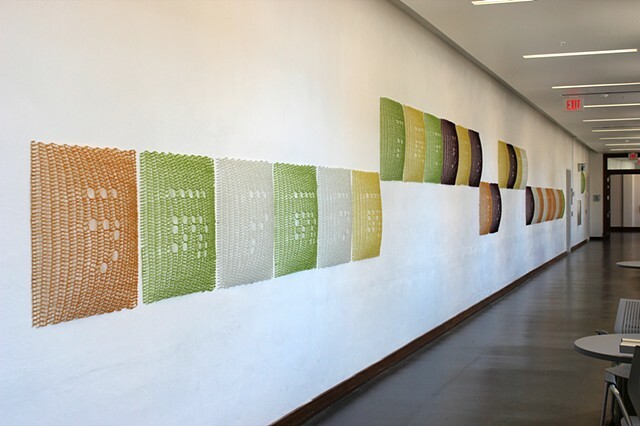 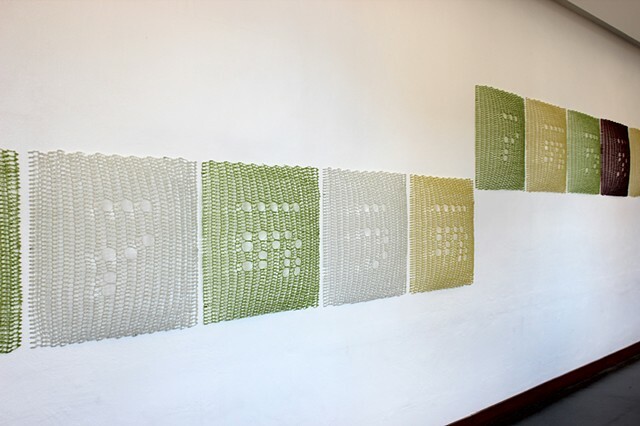 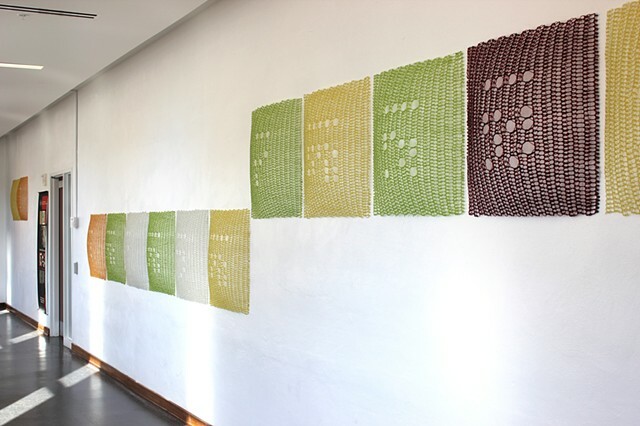 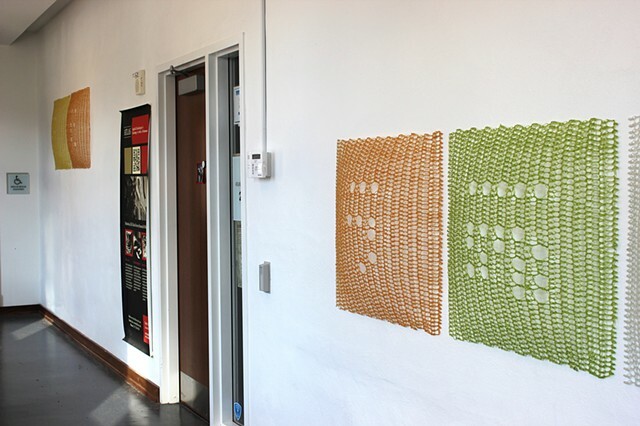 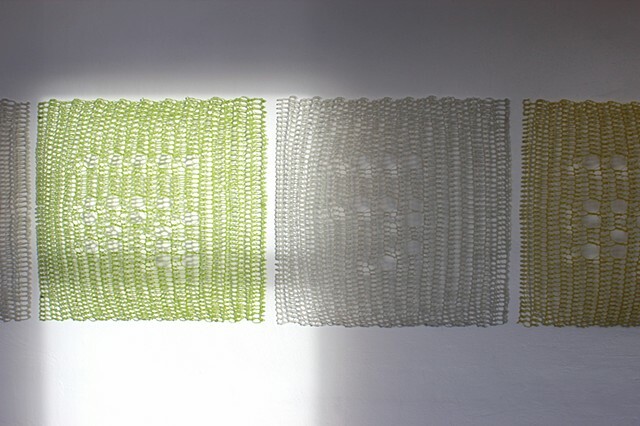 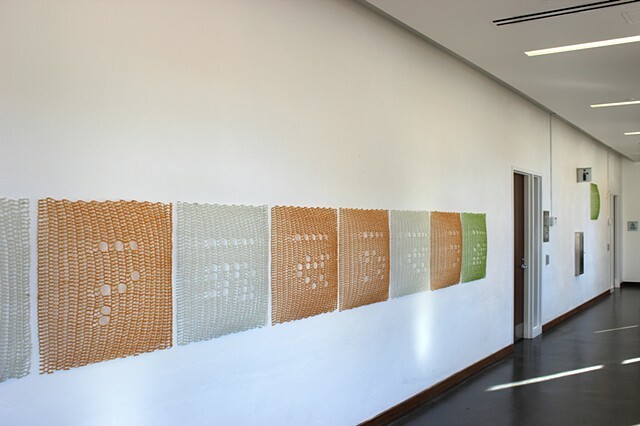 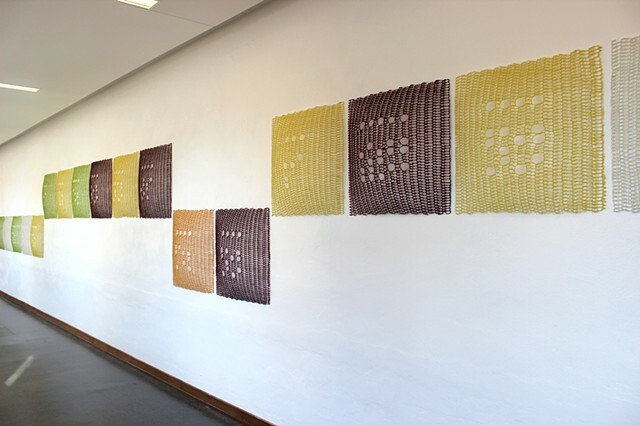 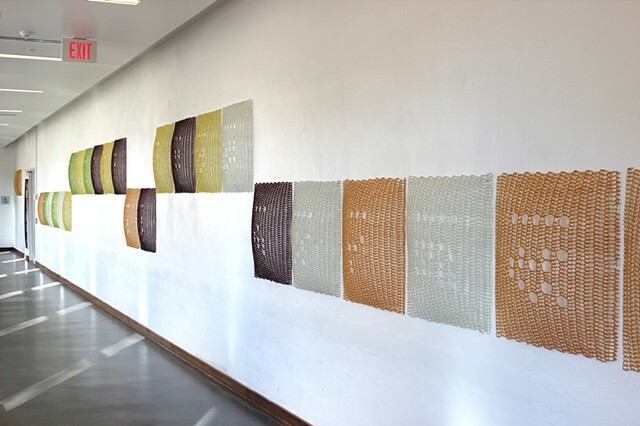 A long tunnel with lines of repeated patterns of simple geometric shapes, echoed by round study tables and plastic chairs with grid-patterned back-supports that mimic simple crochet patterns. 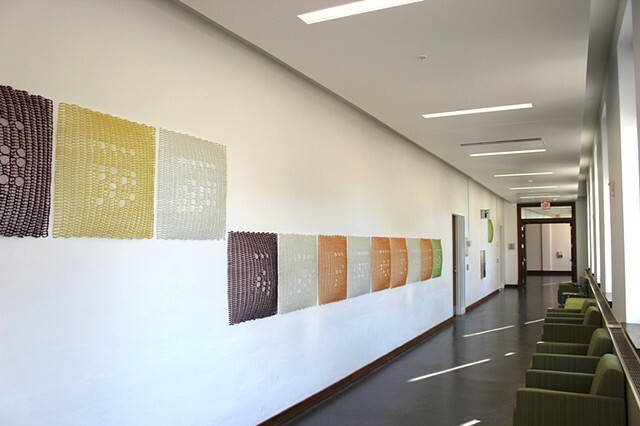 Also in the brief: energize the lifeless white corridor with color and reference computers.